The Ellentube Giveaway is for the legal residents of the 50 United States and the District of Columbia (excluding the Territory of Puerto Rico) and for the legal residents of the Canada who are residing in Canada (excluding residents of Quebec) but the contest is only for those residents who are 18 years old at the time of entry. The Giveaway ends on 26th May, 2018 at 06:30 PM PST. 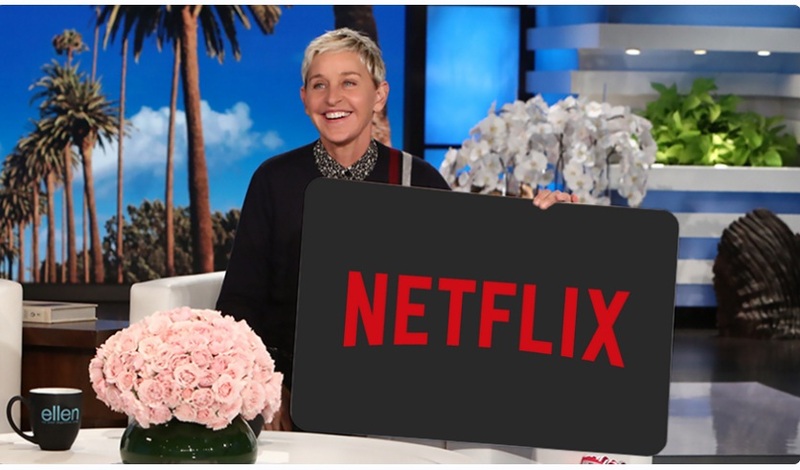 And there will be A 5 years Netflix Membership for the contest winner. All entrants, as a condition of entry, agree to be bound by the official rules and the decisions of Sponsor. The odds of winning is depends on the number of eligible entries received. Eligibility: Open only for the legal residents of 50 United States, the District of Columbia and Canada (excluding the Territory of Puerto Rico, residents of Quebec) and for those who are 18 years of age at the time of entry. Prize (s): 5 Year Netflix Membership.